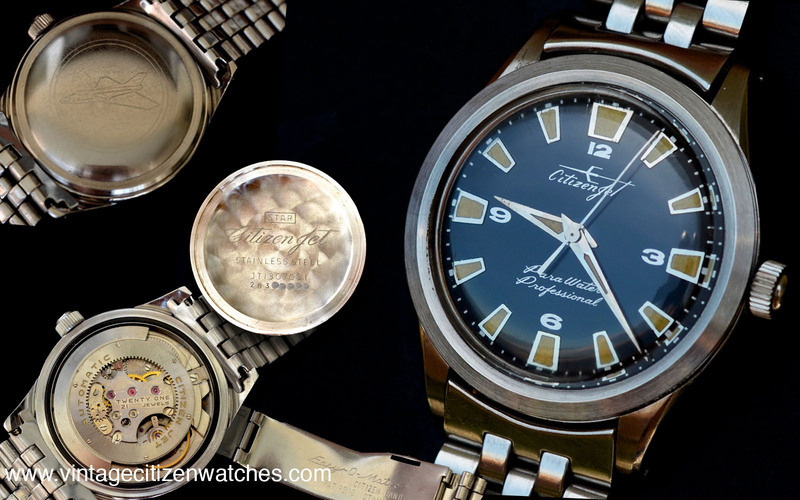 The Citizen world is a diverse, marvelous place, with divers, chronographs, Leopards, Jet movements, and Chrono Masters and a lot of interesting models. How can anyone not have a skeleton? 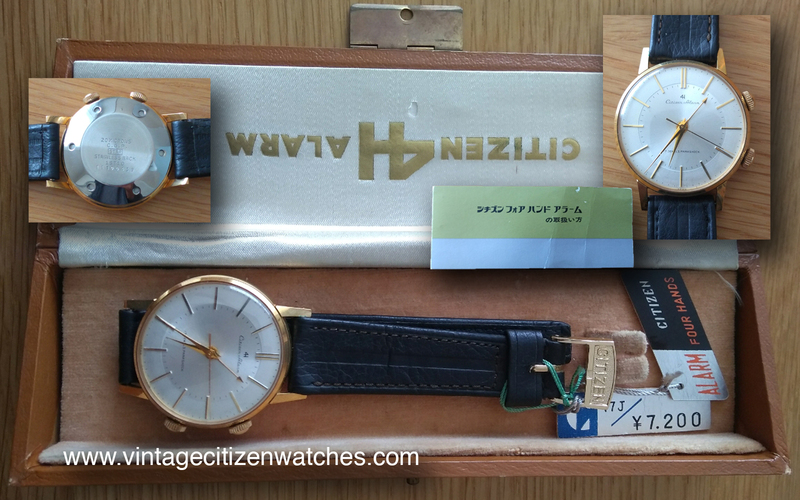 Well… here it is, one of the interesting ’70s Citizen watches. A large round black case and a skeleton movement, display back and a lot of black and gold accents. It is all about the looks! 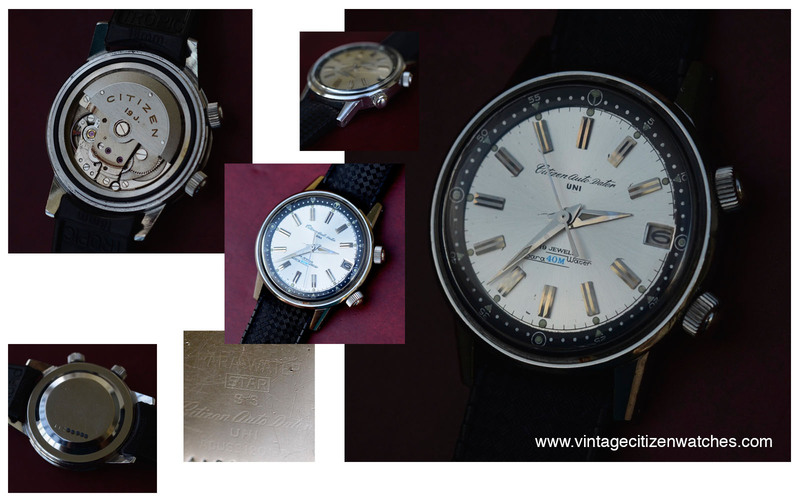 This watches were first produced in 1971, this particular one being from 1973. The design of the case is the usual one for the period and so is the fact that the case is black. 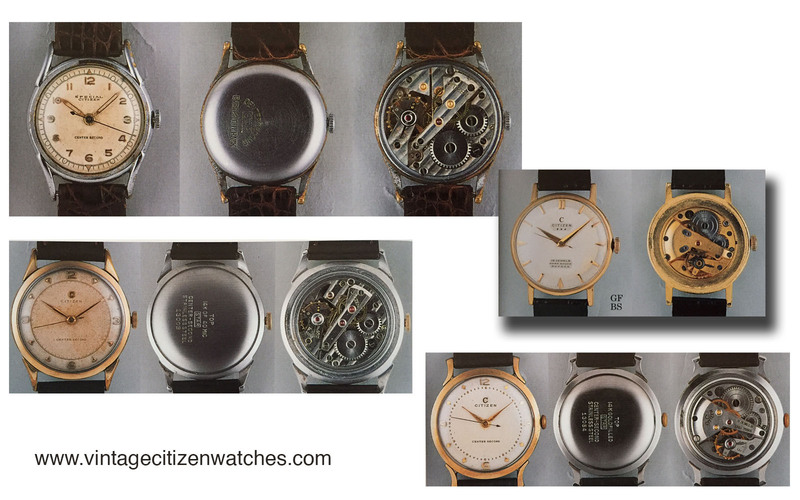 In fact Citizen made a relatively large amount of black cases in the early ’70s. They also designed a lot of beautiful dials and even made watches without one, just like this one. 🙂 Not having a dial doesn’t mean it is an ugly watch but a very interesting one to look at. You can see the movement, the way the crown connects and operates the movement through the stem and flipping the watch over the surprise is that there is a display back so the rotor is in plain sight. The balance wheel is visible through both sides. The entire movement was modified so that all these component can be observed and some parts were blackened and others were given a golden look. I find this color scheme very fortunate. Some people may like it, others will stick with the more conservative look, with watches having a dial, but no one could argue the fact that this is an interesting watch to wear and look at. Some models were made in stainless steel cases, gold plated or, like this one, black plated ones. 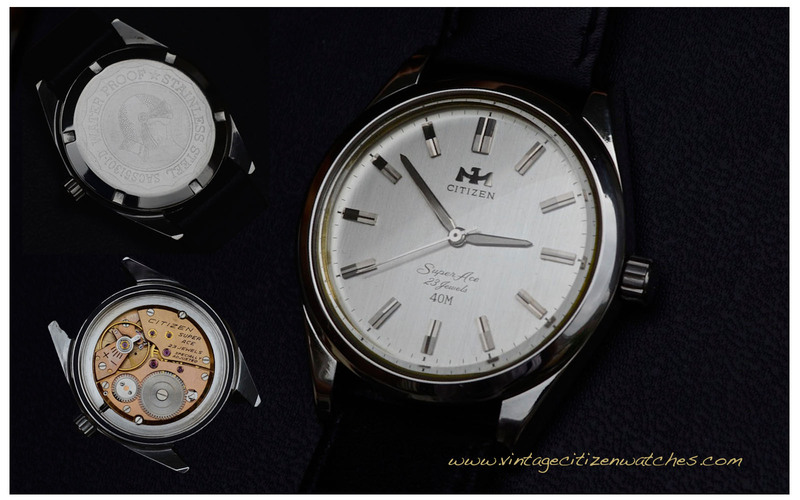 At first the Citizen name was stamped on the movement (cal 7290) and later on moved at 6 o clock, on the minute ring (8060). Some of them came with luminous material on the hands, others without. The second hand might be simple, as mine, or might have a luminous dot at the tip. And sometimes it also can be painted red. 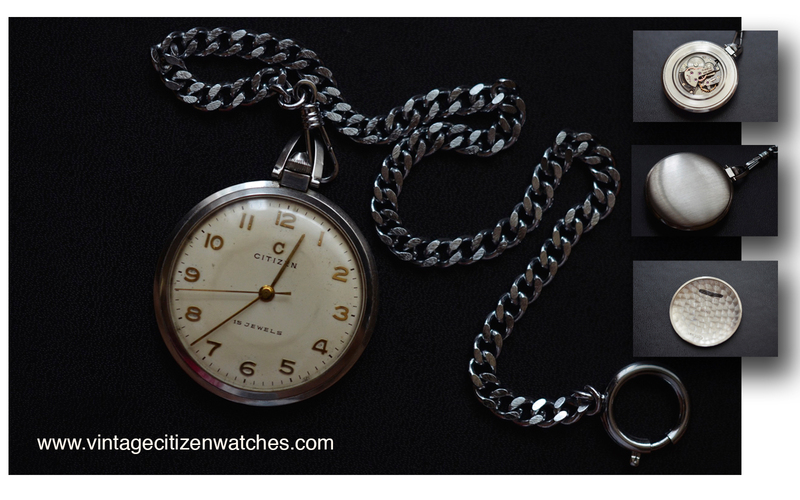 The early type movement used was Citizen cal 7290, like mine, with hacking seconds, 21,600 bph. The second movement was the 8060 calibre, 28,800 bph. Bottom line, an interesting watch, with a lot of models to chose the favorite from. Read more about the Leopard watch with a display back HERE. Read more about this watch HERE! Well, apart from what is written on the dial there is not much info I have about this watch. It is part of the larger Ace family but, of course, it is Super. 🙂 The Super Ace. I date this one around 1966 – 1968 though I have no definitive answer regarding the manufacture date. First of all I notice the striking aspect of the watch, very modern, and gorgeous on the wist at 38mm diameter. Perfect size, no date, very balanced dial. The entire stainless steel case is polished. The mineral crystal is slightly domed and perfect, with very low unwanted reflections. The dial is a work of art: clean, harmonious, with the applied eagle medallion at 12 and well designed hour markers. The hands are a masterpiece. They have a beautiful shape, made in stainless steel, and are faceted, brushed (on the top part) and beveled, with polished sides and angles. The seconds hand is entirely polished. 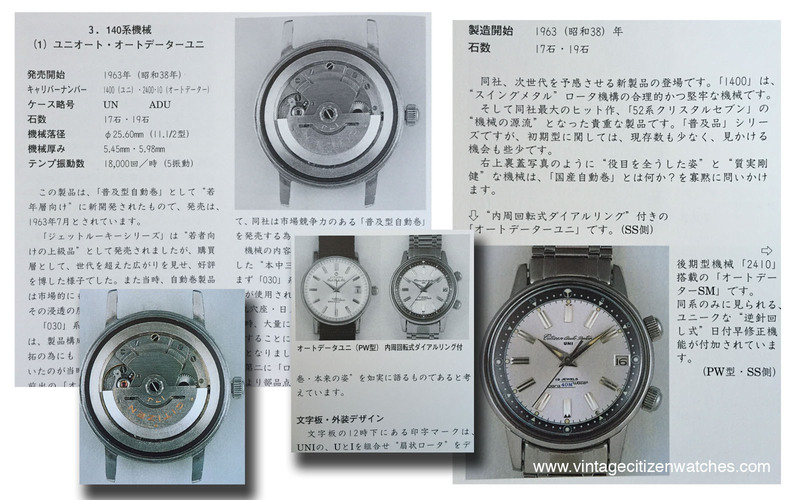 They remind me of the way Seiko finishes their Grand Seiko, and that is something for such an old watch! 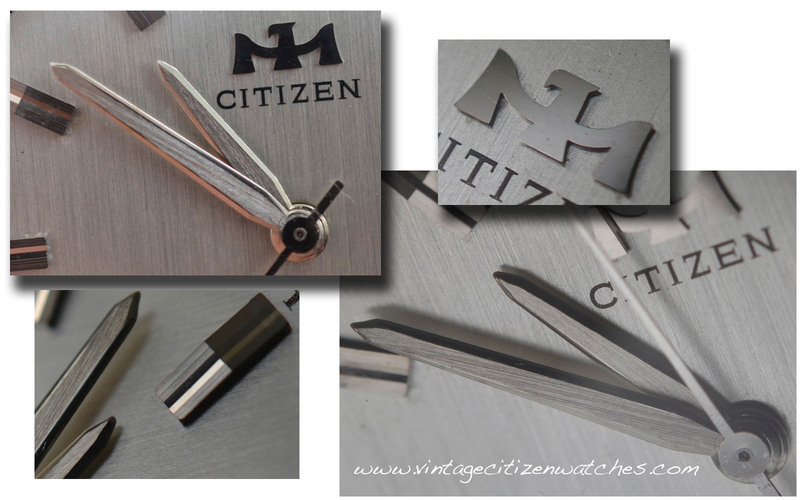 The finish of the dial has longitudinal brushed appearance and looks varnished. The elegant printing on the dial is black and it has no luminous material, nor do the hands. This must be one of the best faces Citizen has made! The caseback is engraved: SACS51301-D, Water Proof, Stainless Steel, and in the middle the profile of a man wearing a helmet (it he a diver, an astronaut or a medieval cavaler… I don’t know and I still have to find out). 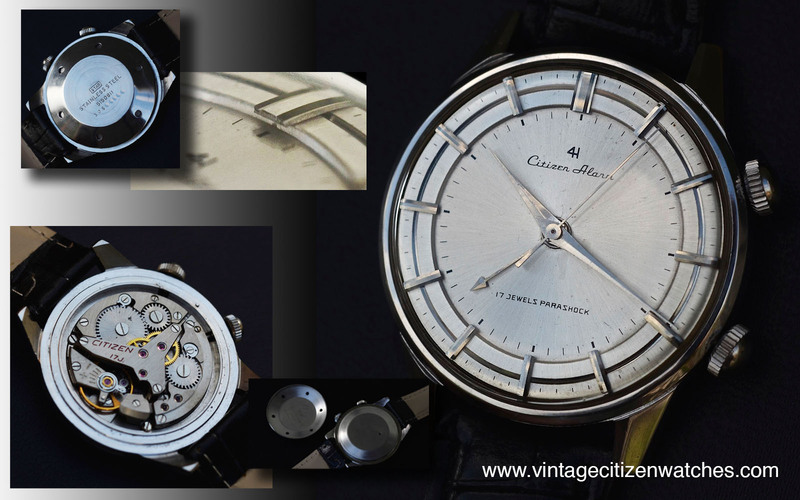 Either way, this is a rare out of the ordinary caseback. The winding crown is made in stainless steel too and marked CTZ. The movement is gold plated, manual winding, non hacking seconds, specially adjusted one. 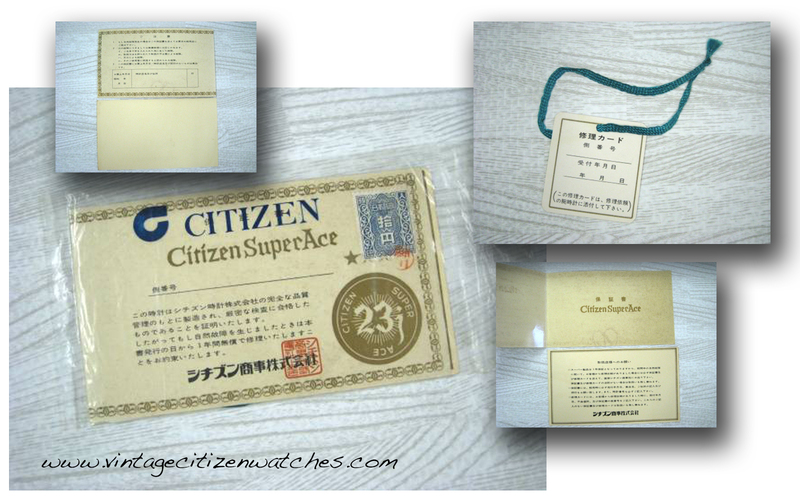 It has 23 jewels and is marked Citizen Super Ace. 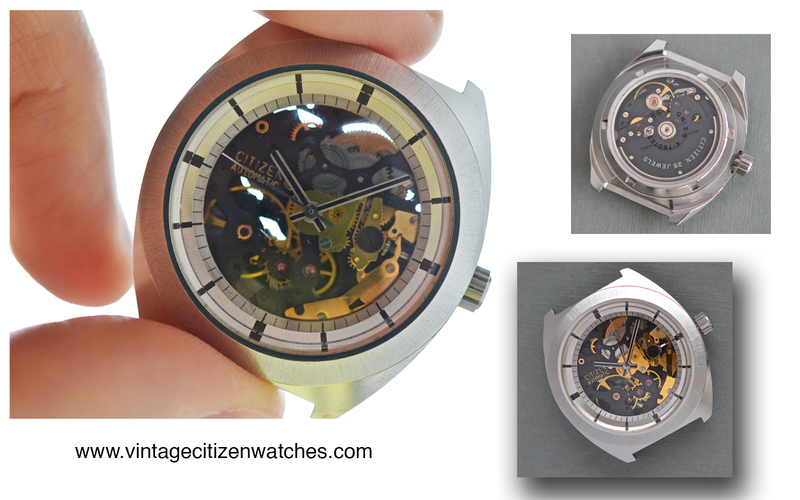 It is the Citizen calibre SACS 9240? and beats at 18,000bph. what more info are available on the Eagle logo on the dial? what is the engraving on the back? 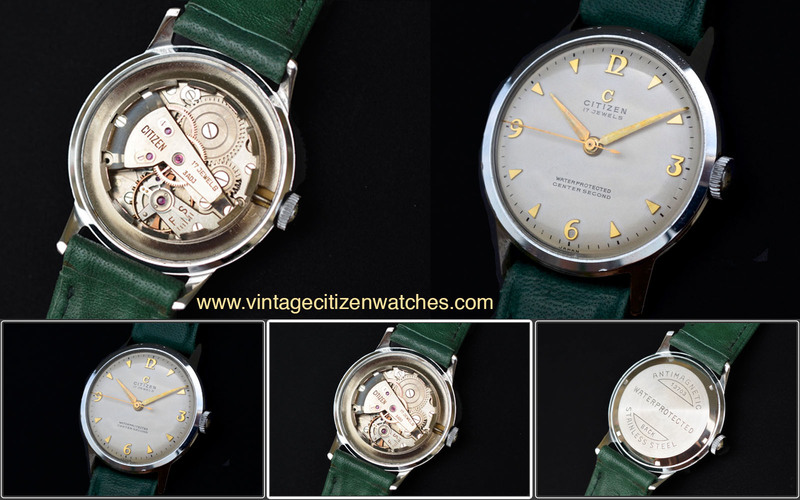 All things considered I have to declare this, not the best but definitely one of the best looking vintage Citizen watches. Also wearing it is a joy. 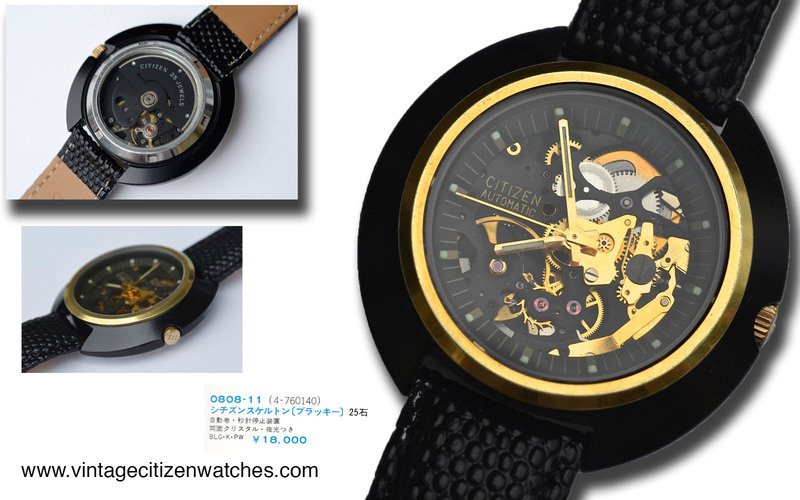 Read more about the black dialed Citizen 21J Ace HERE.